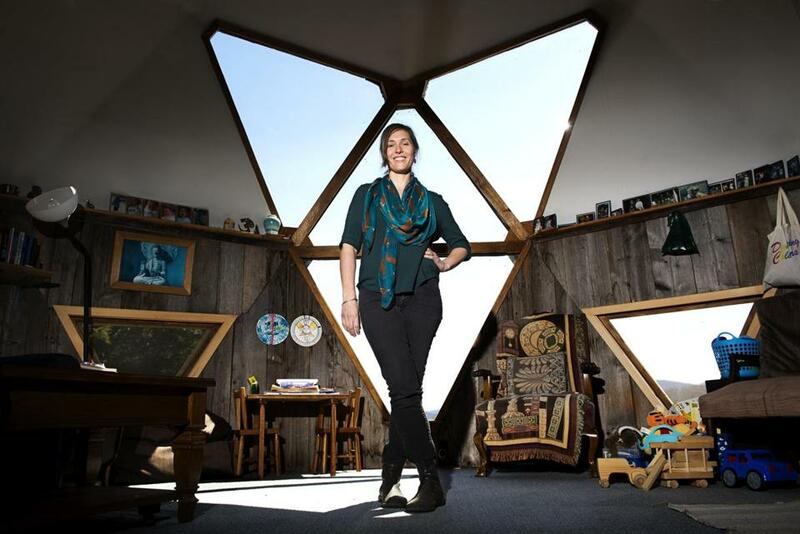 Kate Daloz inside her childhood home, a geodesic dome in West Glover, Vt. Residents of Myrtle Hill, 1971. WEST GLOVER, Vt. — As a child, Kate Daloz was blissfully unaware that her family’s rural, do-it-yourself lifestyle in Vermont’s Northeast Kingdom was unconventional. She loved the woods and the wildlife. She loved the cozy wood stove in the dome house her parents built with their own hands. There was just one thing: She wasn’t thrilled with the whole-grain breads and stone ground wheat crackers her health-conscious parents gave her to take to school. “I coveted other people’s Wonder Bread Fluffernutters,” she admitted recently with a laugh. It’s a dirty little secret she’s never before revealed to her mother. Sitting on the deck of the hilltop home where they once lived, Judy Daloz just shrugged and smiled. “How are you going to rebel from a life like this?” Judy said, gazing over her shoulder at the rolling countryside. In the 1970s, Judy and her then-husband, Larry, were the ones who were rebelling. They were part of a nationwide groundswell of dissatisfied young people dissatisfied with modern life who were going “back to the land.” Frustrated by the rules and norms of middle-class society, determined to build a life free of debt, these children of the postwar suburbs struck out on their own. 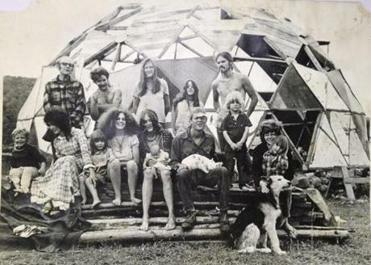 Many of them did so in like-minded groups — loosely organized collectives of hippies and college students who built their own dwellings, cooked communal meals, and started organic businesses together. In many cases, they also flirted with “free love,” balking at the old constrictions of monogamous relationships. Though they shared plenty of those ideals, the Dalozes, who moved up from Cambridge to Vermont’s Northeast Kingdom, were not part of a commune. “My parents did not want to smash the nuclear family,” recalled Kate. But just over the hill from their cabin, there was a group that tried. Over the course of several years, members came and went. When a child was born, the mother was not always eager to identify the father. The kids belonged to the group. Today, many former members of those communal experiments have distanced themselves from their past. They’ve moved on, gone “straight.” Some are ashamed of their youthful choices. But Kate was just close enough to the movement, yet just far enough removed, to look back at it with clear eyes. 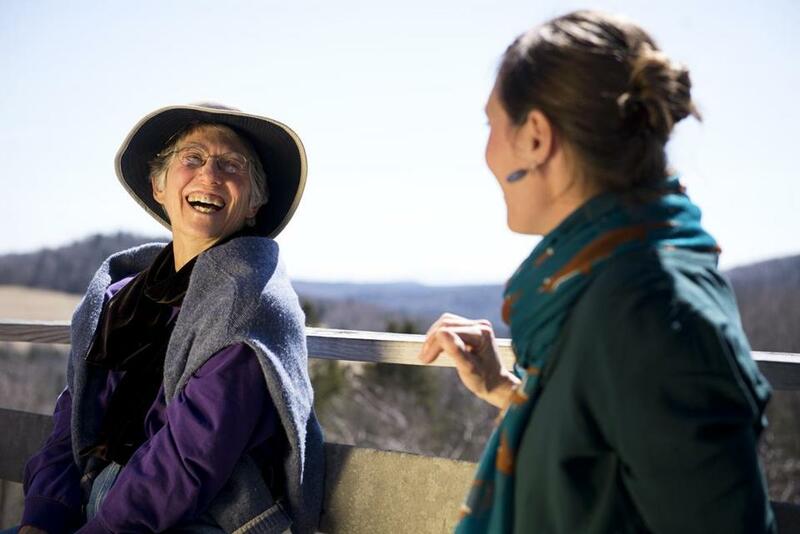 Judy (left) and Kate Daloz in West Glover, Vt. When Kate was in elementary school, Judy separated from her husband and moved her children into town, to St. Johnsbury, about 30 miles away. Kate went on to attend Oberlin College in Ohio, then earned her master’s degree at Columbia University. Now 39, she is raising her own children in Brooklyn, with her husband, Ed Herzman. She served as a research assistant for Pulitzer Prize-winning biographers Ron Chernow and Stacy Schiff, and she taught at Columbia. Now, in her first book, “We Are as Gods: Back to the Land in the 1970s on the Quest for a New America,” she reconstructs the story of the former residents of Vermont’s “Myrtle Hill.” (The author uses a fictitious place name to protect the privacy of those still living in the area.) To Daloz, they’re a test case for the wide-scale successes and disappointments of rural relocation in that era. Free love might not have worked as well as some had hoped; in the end, the usual jealousies and resentments got in the way. 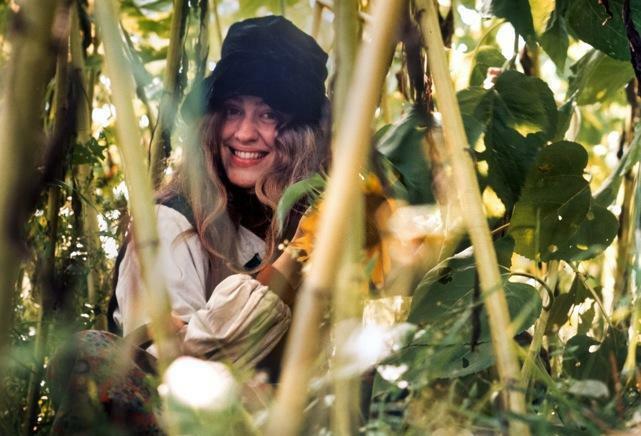 But nearly four decades after the flower children cut their hair and took on mortgages, as Daloz writes, the positive vestiges of their legacy are everywhere. Loraine Janowski in the 1970s. Vermont is often cited as the state with the most colleges and universities per capita. That fact, and the state’s abundance of available land, helped make it a haven for back-to-the-landers, says Jackie Calder of the Vermont Historical Society. By one count there were as many as 200 communes in the state in 1972. As curator, Calder is overseeing a two-year project exploring the counterculture of the 1970s in the Green Mountain State. In the fall, the Historical Society will host a symposium and open an exhibition on the era. The key to the movement’s lasting influence is its commitment to an ideal of community, says Calder. Richard M. Nixon Memorial outhouse on the property. Larry Daloz, now retired in Washington state from his academic career, still uses the Vermont home he built as a seasonal retreat. Centered around the geodesic dome he designed with advice from his commune neighbors (who had built one of their own), the home was long ago expanded to include a log cabin addition. When the indoor plumbing went in, the A-frame outhouse — still dubbed the “R.M. Nixon Memorial Hall” — was rendered obsolete. On a beautiful Saturday in mid-April, Kate Daloz came from Brooklyn to meet her mother at their old house. Sitting on the deck as the day warmed, their friend Loraine Janowski rolled up her leggings and tugged off her colorful wool socks. She cocked her ear as a rooster crowed. “That’s one thing I miss,” she said. For years Janowski was the earth mother of the nearby collective – the cook, gardener, and chief caretaker. “I was into being Miss Superwoman,” she said. These days Loraine, 67, gets around with the help of a walking cane that unfolds as a portable seat. She gave birth to four daughters on the hill, all of them now living in big cities. (After one delivery, a local reporter named Bernie Sanders came by to interview her about home birth.) One of her daughters is an activist in San Francisco; another, a veterinarian, attended Harvard, where she played basketball. Some of the back-to-the-landers aren’t keen on revisiting those memories.“But I’m at the point in my life where I want to deal with that. I’m done with running,” Janowski said. As Loraine tromped across the small field where she once grew herbs and vegetables, her ex-husband stooped to pick up a 2-foot length of barbed wire buried under some leaves. It was a remnant of the ugly ending of their communal experiment, when one of the remaining members fenced off a section of the land in a fit of paranoia. Looking back, said LJ, it’s sobering to remember just how idealistic the group had been in the beginning. “We’d put 20 people in a room and say, ‘Figure it out,’” he said, shaking his head at the memory. Eventually, they dropped out. One sold handmade jewelry in Berkeley, Calif., for years; a guy they called “Jim the Bear” is presumed to be living in Mexico. Others, though, took on more traditional careers with an eye toward the public good. One started a progressive newspaper, and another runs a nonprofit that builds online communities. At this point, LJ is the only ex-commune member still living on the land. “I was foolish enough to stay,” he said with a smile.